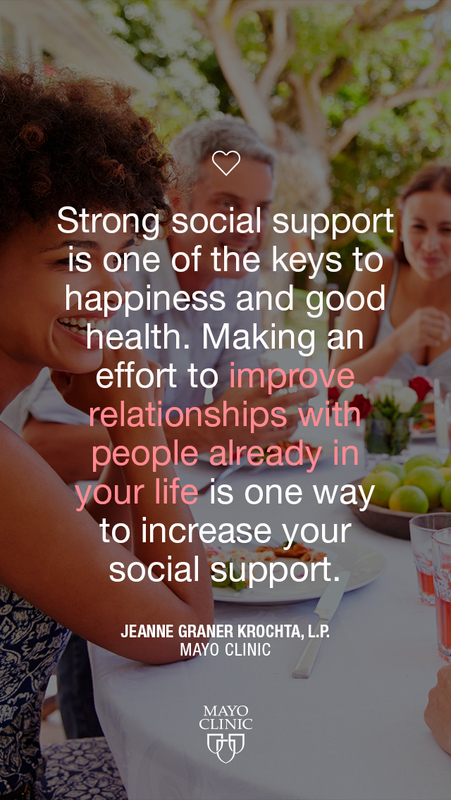 "Strong social support is one of the keys to happiness and good health. Making an effort to improve relationships with people already in your life is one way to increase your social support." – Jeanne Graner Krochta, L.P.